The holiday season is a very busy time for our crew at Webster’s, and we’re getting geared up for a crazy December. Before things kick off we’ll be closing the restaurant on Thanksgiving to give our ‘Webster’s family’ a chance to spend time with their family and friends. 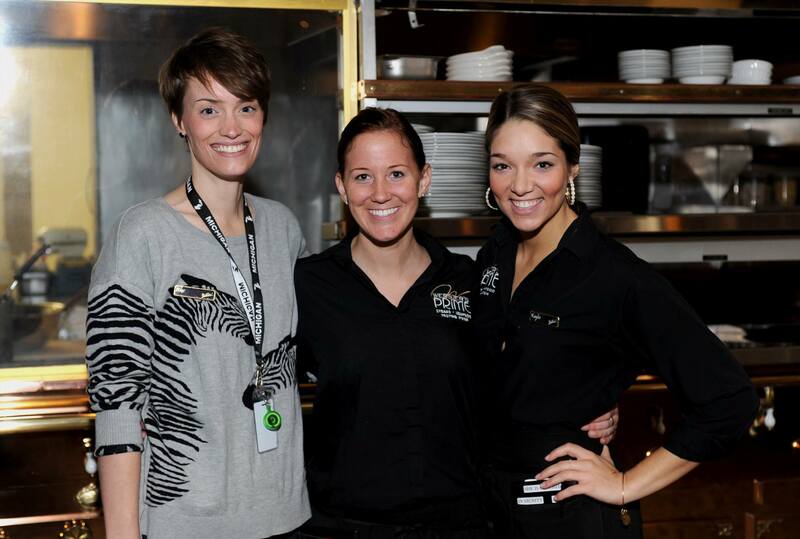 Our staff works so hard every day, and we hope they all have a wonderful Thanksgiving! Thanksgiving is all about family and friends. 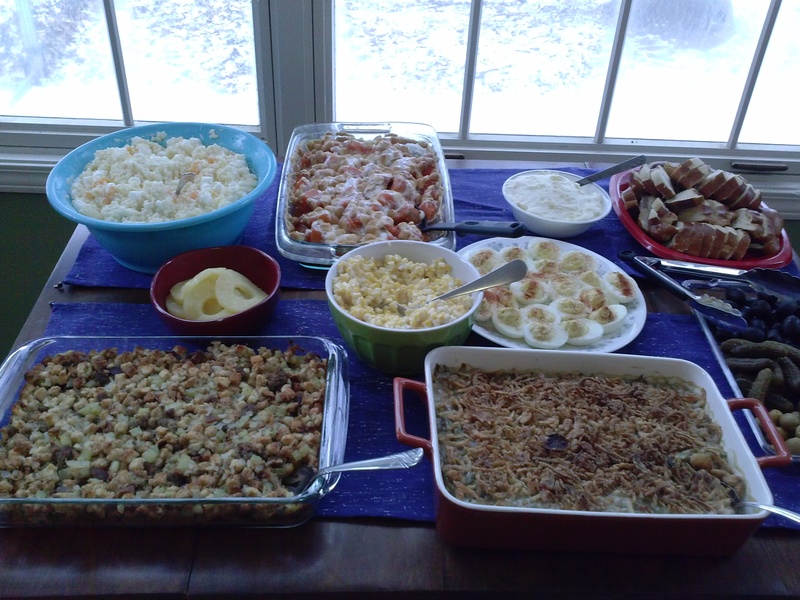 So one holiday season, I had the opportunity to make the dinner for three different groups of family and friends. It all started with my Anthropology colleagues, professors, and friends from WMU’s Anthropology Student Union. The graduate and undergraduate students got together at a students house and had a big Thanksgiving dinner in which I cooked the turkey and everyone brought diverse sides. 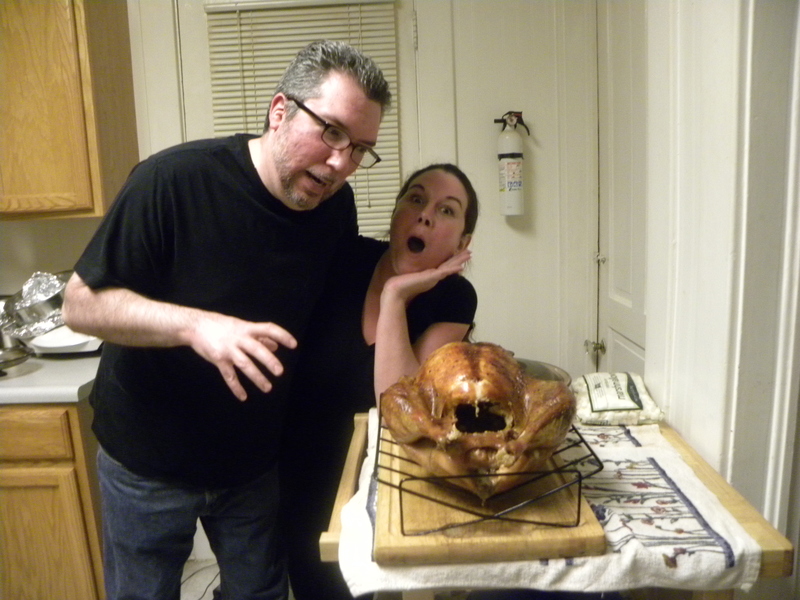 The next dinner that I was involved with was with my close friends, and that dinner I also made the turkey. And finally, at Christmas time I had the chance to prepare a turkey for my family. This one fabulous year I made three turkeys from the end of November to Christmas which means a lot of leftovers and great sandwiches. Happy Thanksgiving and Happy Holidays from Richard J. Steward. Thanksgiving is the reason my family gets together each year, I love it! Dads four brothers and their families gather at the house I grew up in to enjoy gratuitous amounts of delicious (sometimes well-intentioned, yet questionably executed) thanksgiving treats! 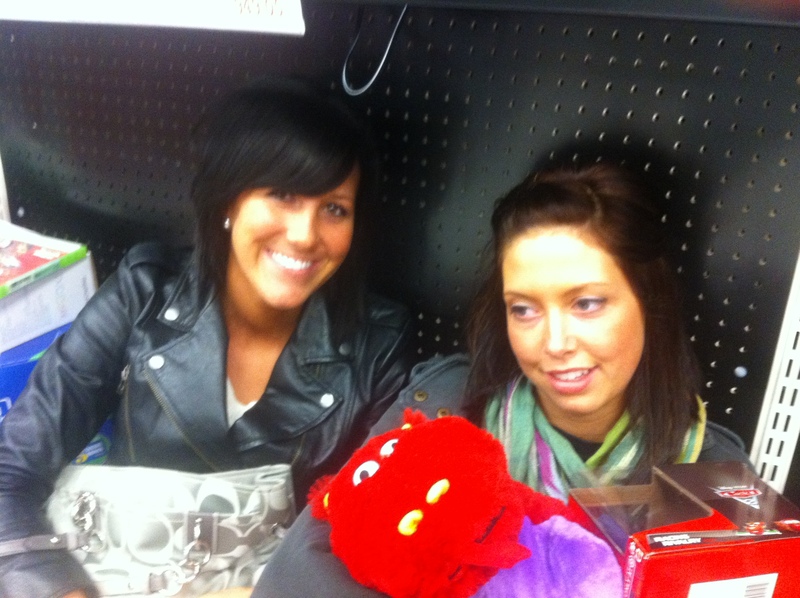 Best memories are from the “tramp roast” days. Dad and his brothers would boil meat, potatoes, veggies and beer in a steel pot over an open, outdoor flame and serve the delicious mess on paper plates. What fun! 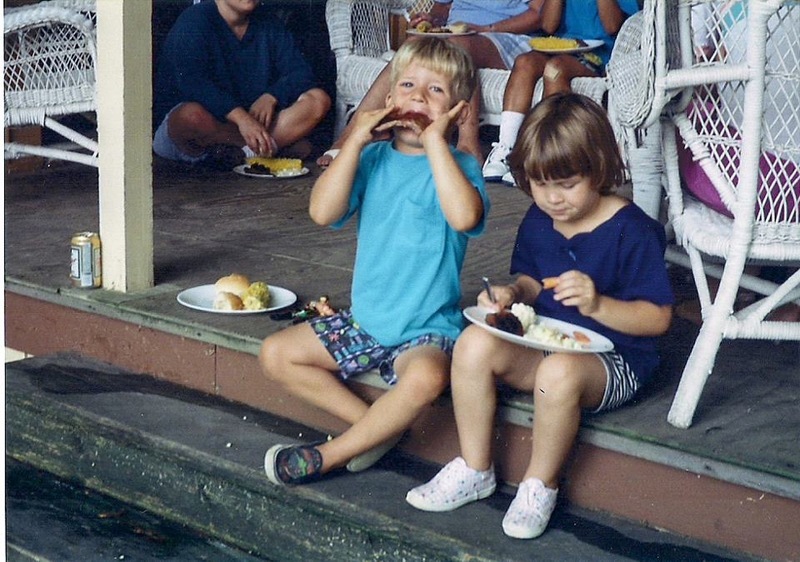 Here’s a photo of my cousin and I getting down on some family treats. Just a couple years ago. Of course. One Thanksgiving, long ago, in the town of Flint, my four and a half-foot tall grandmother had quite the holiday. She was so excited to be cooking the turkey that year, and especially the fact she was cooking it with booze. My grandmother (we called her Bacha) was an amazing cook and born in the town of Nara, Japan. I remember her even making the turkey dance, drumsticks in hand, calling it the “drunk turkey”, while she hummed in her quiet yet beautiful tone. Needless to say, the turkey was delicious and my grandmother was asking to take wine home by the end of the night, wrapped in a Dixie cup with plastic wrap. I miss the food that she used to cook so much, but I miss her spirit even more. 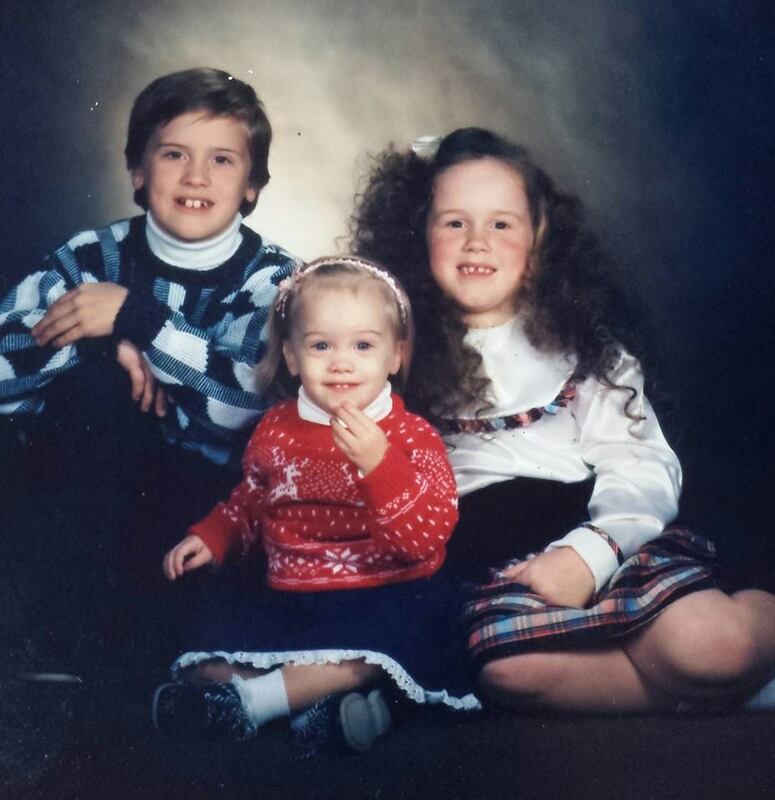 My brother, sister and I during the good ole days! For this Thanksgiving, I am stepping out of the mixology duty and headed to the kitchen. Because of my experience bartending in the Webster’s Prime Tasting Room, my family has always looked to me for their beverage ideas and insight. Although I more than happy to help, I have decided my contribution this year will be served from the kitchen. I am excited to put my baking skills to test. 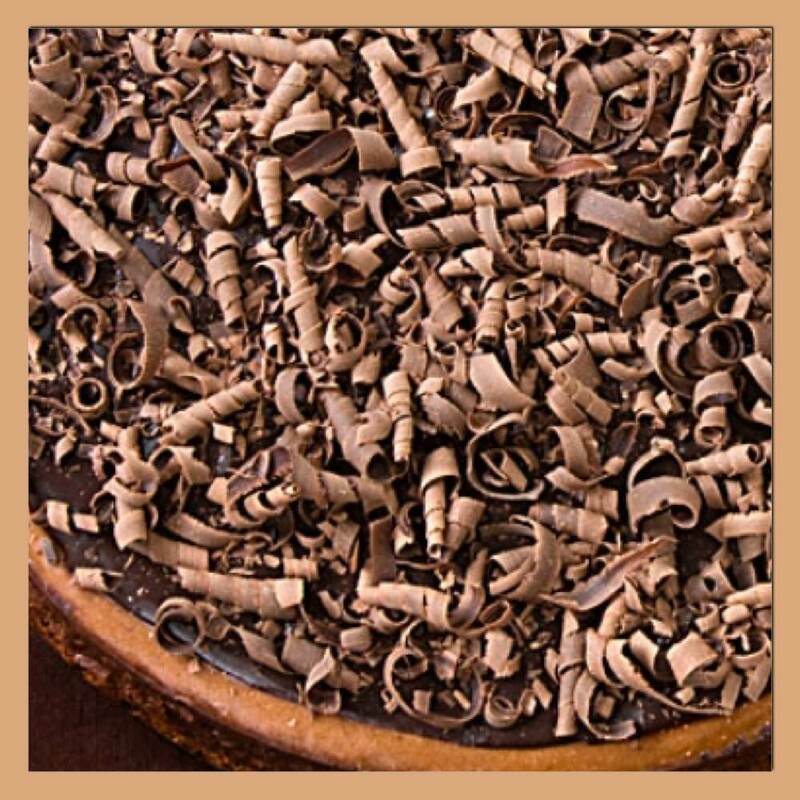 This year I will be bringing a beautiful and decadent, Bailey’s Chocolate Cheesecake. Now, you can take the bartender out of the bar, but why not put a bar twist in the kitchen! Bailey’s is a great after dinner drink, so combining this with our favorite cheesecake should be a Thanksgiving hit. I hope everyone has safe travels and enjoys the time spent with loved ones these holidays. Happy Thanksgiving! Thanksgiving has always been about good food and great company in my family. With 23 grand kids on my mom’s side and 10 on my dad’s, there’s no denying that we have a lot to be thankful for. Now every family has its quirks, but somehow on Thanksgiving we have a tendency to forget and forgive all. It’s time where everyone looks at what really matters, which is the fact that we have each other. We all have things to be thankful for, and the concept of family is one of the most important to me. Last Thanksgiving was a very comical one and in the moment it didn’t feel that way.Me and Dan were going to have dinner at my mom’s house and had everything prepped that we were bringing over, it just needed to go in the oven. We arrive at my mom’s only to discover that her oven had stopped working and the part she needed was not available because the store was closed. Out of the kindness of her neighbor that was half a block away they let us use their oven. So in the freezing cold we walked all of our food to their house while their family was eating their meal. Needless to say that was a Thanksgiving that we will definitely be laughing about every year! My Grandparents on my Mother’s side are from the Republic of San Marino, located in Northern Italy. During Thanksgiving, and to kick off the holiday season, my Nonna would always make something called Cappelletti en brodo (my family calls it “Capplits” for short). Cappelletti (meaning “tiny hats”) are pasta dumplings filled with pork and parmesan goodness. My Nonna would hand-roll each “tiny hat” from scratch and would then serve them in a warm parmesan chicken broth. Capplits are the one dish my Cousins and I wait for all year – and though it’s hard to live up to Nonna’s, our Aunt Sandy does a great job continuing this tradition! Though I could never give out Nonna’s exact recipe (some things are meant to be kept in the family! ), here is a link to a Cappelletti recipe that DOES come pretty darn close! Salute and Happy Thanksgiving! My favorite traditions from thanksgiving has to be just being with my family and enjoying great company, good food, football and making memories. If I had to pick ONE (or two) favorite things I would have to say I’m a sucker for some good stuffing (can’t be burnt though) and I love homemade pies. Doesn’t matter what kind. I just like to eat. But for the most part I enjoy seeing my family together. Nothing is better than a full day of laughs and good people! Cheers and Happy Thanksgiving! My favorite thanksgiving memory has always been my grandmothers applesauce. The name itself does not sound very grandiose in nature but the recipe calls for chunked apples with cinnamon candy, not cinnamon as a flavor, the actual little red candies that people put on Christmas cookies! Thanksgiving is about that time where my family stops everything we have going on and get together. We are all stressed over one meal because we just want things to be perfect. No matter how the meal turns out it’s perfect because we have each other. My earliest memories of Thanksgiving are of my Mom being in the kitchen for what was an eternity for a young child, doing many things that I didn’t understand at the time. What I fondly remember about Thanksgiving time was that my Mom was so busy with food preparation that I basically got away with a ton of stuff and virtually got everything I asked about while she was busy. That was cool, cookies for breakfast, soda pop with lunch, neat stuff from my viewpoint. Now that my lovely wife Amy and I are the responsible ones who prepare the feast, I completely understand why Mom was so focused. Being a professional chef, everyone thinks we have these awesome kitchens and every gadget under the sun. True, I do have some gadgets, but the reality is the kitchen is just the same as most residential homes, one oven, four burners, microwave…normal. Our challenge every year is producing the feast and have it all be ready at the same time. Recently, Amy and I have each done a dessert for Thanksgiving and had the kids and grandkids vote on which one is best. Let’s see, I’ve done a ricotta torte, butternut squash ‘flan’ for lack of a better description, and roasted winter squash cheesecake. Currently I’m zero for three in the dessert bake off according to the family. No worries, don’t tell my wife but this year I’m thinking of chocolate chip cookies and hot chocolate. When you see what’s won the dessert bake off lately, you’ll understand my strategy. 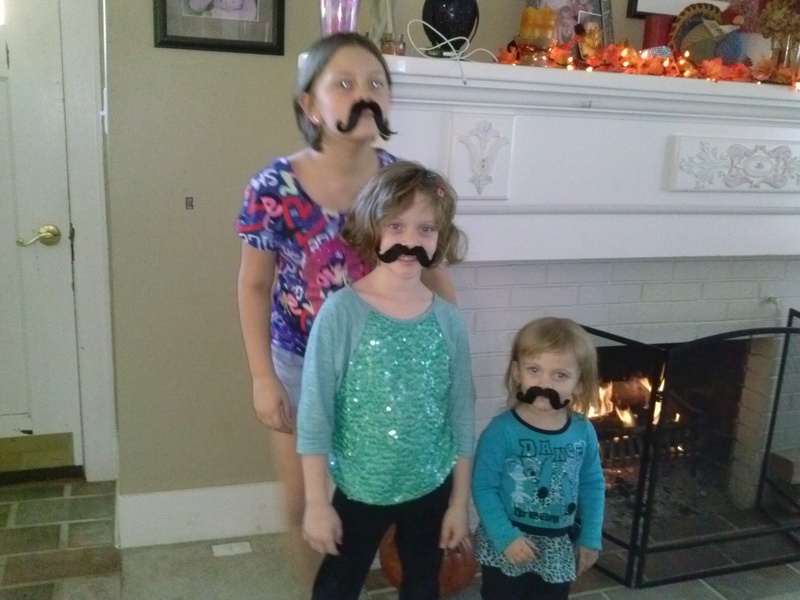 The grand kids celebrating Movember! As for our blessings, having the kids and their loved ones around the table is the best, all are happy and healthy (another blessing!) and most eat a little of everything. Erin really enjoys what she calls turkey ‘slime’ (the beautiful fat that hides under the crispy skin of a large Otto’s turkey), Tyler is the Stove Top guy, Bailey saves room for whipped cream, Destiny is most interested in what the sides are for the meal, then she gets the biggest plate of food and tries everything. You know you’re a winner when you get her to try a bite and she says ‘not bad’. High praise from an 11 year old! 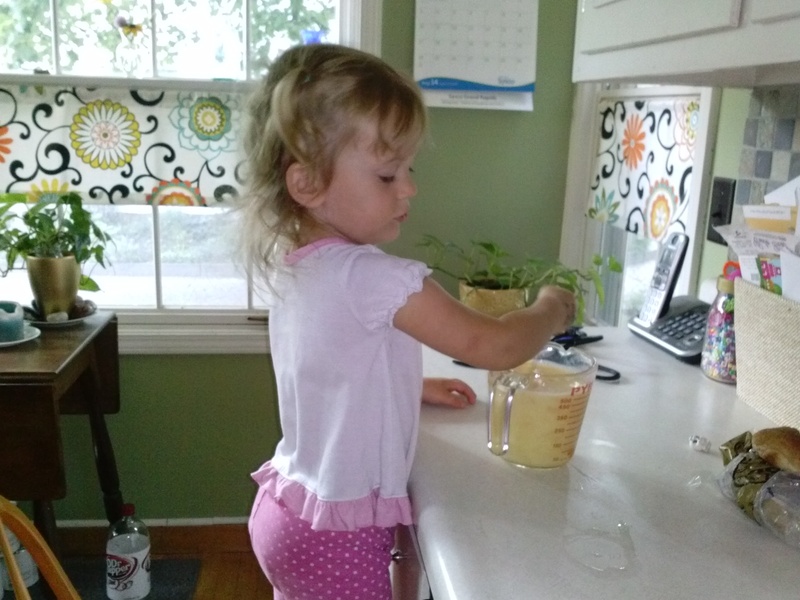 Youngest granddaughter Bailey making scrambled eggs. We send Lindsey and Paul home with a bag of food, leftovers for days. Amy and I usually make too much on purpose, need to know the kids are eating well (helps us sleep better). They pack up and head home, everyone usually winds down a bit and it gets a little quiet. We clean up a little, package and put away leftovers, and enjoy the time with loved ones. It’s usually during this sentimental time on the couch with my wife that I enjoy the first of many leftover turkey sandwiches (good whole wheat bread, ton of mayo and heavily salted). 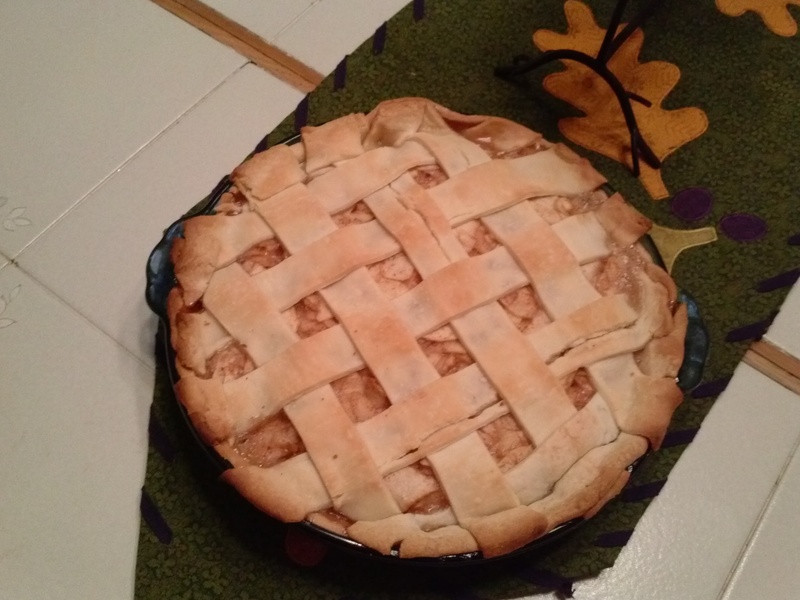 It’s OK, Amy’s not offended, she won the bake off with that most difficult of baked goods….apple pie a la mode! She’s also won with pumpkin pie and cool whip! About now you understand my chocolate chip cookie theory to dessert bake off this year…. My lovely wife Amy’s ‘award winning’ apple pie. Webster’s Prime will be closed on Thanksgiving Day, but would love to help your family, friends, and colleagues celebrate this holiday season. Contact Alex to reserve a table or private room this December! HAPPY THANKSGIVING FROM OUR WEBSTER’S PRIME FAMILY TO YOURS!